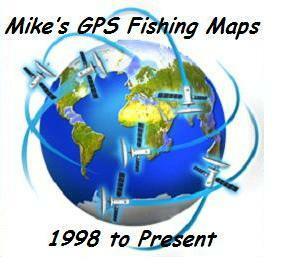 It was 1997 when I discovered the Garmin 12 GPS. I reviewed an aerial photo of Lake Thompson and saw all the structure that was covered by water. In 1998 I plotted the structure off the photo and assigned waypoints to a dozen different places. Then went to the lake and proceeded to punch in a waypoint and go to that structure. I was able to locate 10 of the 12 waypoints. The two waypoints I could not find were close to shore and wave action along with erosion evidently obliterated them. Since large Fishing map companies seem to only use the maps the state provide; I thought the fishermen in South Dakota would appreciate a more researched map, that would identify various structure located in the lakes we fish. Being able to pinpoint where you think the fish will be will save you time when you arrive at the lake. You probably will not find structure maps for a majority of lakes we ice fish in South Dakota. When the product was ready to go, I wanted to make sure it was printed on a high quality material. That's where my association with synthetic paper came into being. This systhetic paper is extremely durable, dimensionally stable, water repellent, flexible, scuff-resistant, and they float. Affordability is a factor and is an important consideration in your decision, Compared to other maps Mike's Maps give you the waypoint to find the structure. To sum it up, you will be hard pressed to find a better product for the price. Sure you could do the research yourself, buy the necessary materials to locate and plot your own waypoints. Keep in mind you may pay more for a piece of tackle than what my map cost. These maps are easy to use; all you have to do is choose a waypoint from the map, that you consider a good fish holding location. Enter it into your GPS and have fun. I have spent hours researching these lakes so you don't have to. Once again saving your valuable time, that shoud be used for recreation. Please feel free to contact me with any suggestions, comments, or a HOT BITE.